Robert Macfarlane: "It's an amazing sound world, into which you fall (subside)". ￼fen |fen| n. a low and marshy or frequently flooded area of land: a flooded fen. (the Fens) flat, low-lying areas of eastern England, formerly marshland but largely drained for agriculture since the 17th century. Below Sea Level follows the creative process of tracing the contours of the landscape to discover the ephemeral acoustic environment. There is very little evidence of previously detailed musical, acoustical or aural studies of the Fens despite music composition and the natural sonic landscape being associated together since the eighteenth century (Vivaldi wrote his composition The Four Seasons in 1723). Books have been written, maps drawn and photographs taken, but never a sonic exploration of areas that reside below mean sea level. To contextualise this project, the history of the Fens and previous writings on sound ecology will be discussed. In particular, the work of the Pierre Schaeffer (1910-1995), R. Murray Schafer (b. 1933) and Bernie Krause (b. 1938) will be considered. The creative process of actively listening, the implications of recording the natural world using technology and the manipulation of natural sounds used for musical composition are also explored. Ears Lend: “ A stand-out album of glowingly warm, densely textured excursions into landscape & memory. Also a hugely impressive book of thoughts & photography". 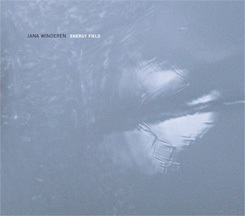 Musicwontsaveyou.com: "It is this combination between rural nostalgia and pathos of human content to fill "Below Sea Level", raising the charm and the imprint emotional well above the average of the many products and electro-acoustic environment." The Wire Magazine called it "this exquisite study in sound ecology.�? "...He has finally reached back to this sort of seminal moment where he was at one with the world, simply inhabiting the moment. Below Sea Level is Magnificent." "Scott builds particularly striking soundscapes here." "Ein filigranes Zusammenspiel von Natur und Technik trifft hier zusammen." "A stand-out album of glowingly warm, densely textured excursions into landscape & memory." "A sort of osmosis between acousmatic pastorale and lively natural elements." "He has granted access to what for many will be a new locale and provided enlightenment about its dramatic history." "The album's seven tracks form a seamless and coherent narrative of carefully sculpted motifs." "The sound of 1990s shoegaze dissembled into its most rudimentary components." "El talento se le intuía, en fin, pero todavía faltaba por llegar su gran disco, esa obra que confirmara definitivamente su posición entre los grandes del ambient. Y ese disco es Below sea level." 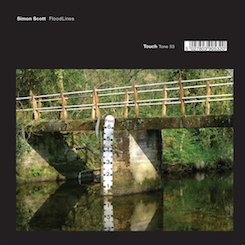 "Scott’s devotion to this project results in a fantastic journey through the Fenlands of England." "Delicate tracks featuring fine interactions between instrument (mostly electric guitar) and digital treatments." "Simon Scott réalise ici un chef d'oeuvre indispensable de musique exigeante. Une seule écoute au casque pour se faire piquer. Des centaines à venir pour y puiser d'innombrables trésors et détails cachés. Bien au delà d'une convenue recommandation. " "De toute évidence, vous n’avez plus la moindre excuse pour passer à côté de ce chef-d’oeuvre." "Ambient mit verstecktem Stachel. " "chitarre elettriche e galloni di silicio allo stato gassoso." "driften die Stücke schwerelos durch üppige Schichtungen von synthetischen und natürlichen Klängen, Verfremdungen, Ergänzungen." "In some cases, Scott seems to be playing for the present moment, merely coexisting with a complicated patch of nature. In its most satisfying moments, however, Below Sea Level sounds like a poignant farewell." "Warmen Klängen und unaufdringlichen Bewegungen." "Es un disco que suena como una gran burbuja, una burbuja fina que puede estallar en cualquier momento." "Below Sea Level is more than music, more than sound; it’s a quiet revolution." "Un peu plus longtemps, un peu plus loin, un peu plus profondément." "The sound of rushing coastline washed sand regions without relief, ossified in time." "Entre deux rives, entre île et continent, entre jour et nuit, la musique serpente frappée d’un dernier rayon de lumière ; transporte autant d’espoir que de mélancolie." "The dreamlike sequences are powerful, even in the absolute suspension of landscapes and the aesthetic perceptions they transmit. " "È un ambient poco accademico e molto fluido che riporta alle fredde paludi del Cambridgeshire attraverso il calore dei ricordi." "This sense of the past threads through 'Below Sea Level' to remind of the qualities of Super 8 footage."